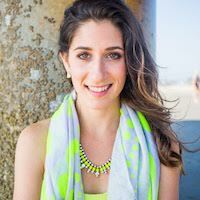 Plus other autumn wellness tips from HUM nutritionist Sarah Greenfield, MS, RD. In the transition from summer to fall, it’s normal to experience a few changes in your food and beauty routine. As the weather cools down, you may notice drier skin and start to crave warmer, heartier foods, which can throw your digestion off track. Personally, I think fall can be a great time to clear things out, reorganize, and recommit to wellness routines before the more relaxed holiday season approaches. 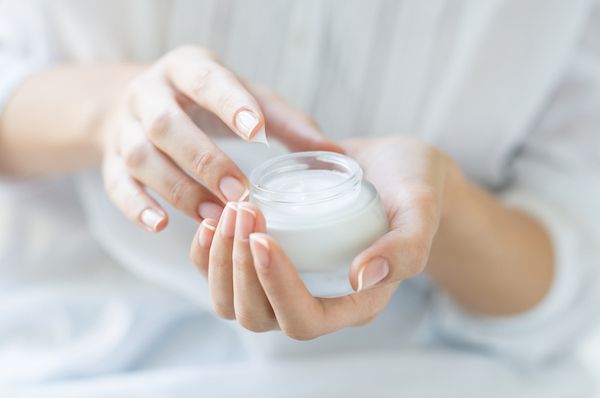 First, dry skin is a huge issue in the fall. There’s less moisture in the air. We also spend more time with the heat on, which dries you out. Next, we’re not sweating as much, so our skin produces less oil. I also think that people eat more fish in the summer, which has a lot of hydrating fatty acids for our skin that we miss out on in the colder months. Likewise, we may drink less water throughout the day because we’re not as a hot as we are in the summer. Additionally, the time change can throw off your sleep. Not enough sleep affects just about everything in the body from hormones to digestion to stress and immunity. Sleep is when our bodies repair damaged cells and detoxify, so it’s crucial to get enough. Finally, if you’re traveling a lot, you’re exposed to more pathogens. Also, air travel is notorious for causing dehydration and constipation. Not good! First, a little reminder that eating seasonal ingredients ensures higher nutrient content, which is always a good thing. Then, eating seasonal produce like pumpkin or squash has a ton of benefits at this time of year. 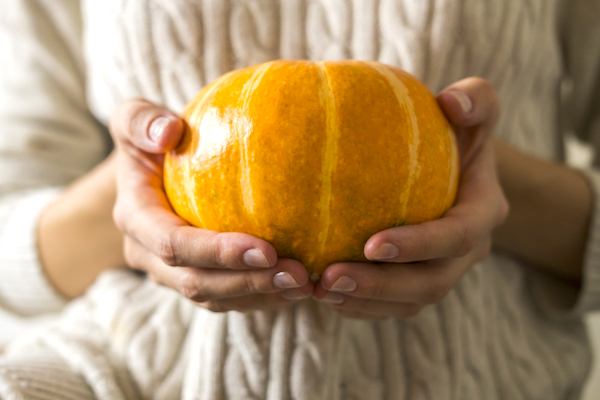 Pumpkin is really good for digestion because it’s high in fiber and beta-carotene. It also has phytonutrients which not only help clear out free radicals but also help feed specific gut bacterias we need. Similarly, incorporating fall spices can offer lots of seasonal health benefits. Ginger is a carminative herb that helps with digestion, relieves nausea, and is anti-inflammatory. Next, cinnamon can help regulate blood sugar. While the colder weather can get us craving comfort foods, try to keep it to healthy grounding foods like root vegetables, soups, and stews. These are healthier alternatives to other fall comfort foods which can be high in fat, dairy, sugar, or simple carbohydrates. OMG! 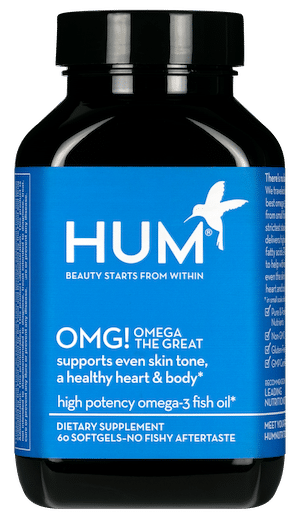 Omega The Great: This fish-oil supplement is full of anti-inflammatory fats that can help hydrate skin from within. 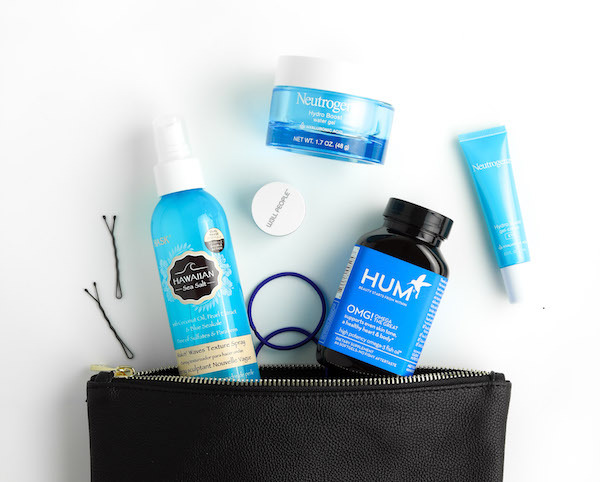 Red Carpet: Another hydrating option for healthy skin and hair that’s perfect for vegans who can’t take fish oils! We formulated these to have the ideal ratio of omegas for your skin. Air Patrol: Ideal for travel. We use esterified vitamin C, which means it’s more bioavailable and easier for the body to absorb. It supports our immune system and can also help with histamine breakdown if you suffer from allergies. Beauty zzZz: If you’re affected by the time change, this supplement can help get you back on track to ensure you get all the benefits of adequate sleep!